We are currently recruiting to fill a Project Engineer position, to join our team in Olympia, Washington. Ideally, the candidates will be self-motivated, and have strong team and communication skills. Click here for detailed job descriptions and to apply. Gib bs & Olson is pleased to announce that Kyle Busby has successfully passed the Professional Engineer’s exam, earning his Professional Engineering License in Washington State. A graduate of the University of Washington, Kyle received his B.S. in civil engineering. His dedication and hard work make him a valued Gibbs & Olson team member. 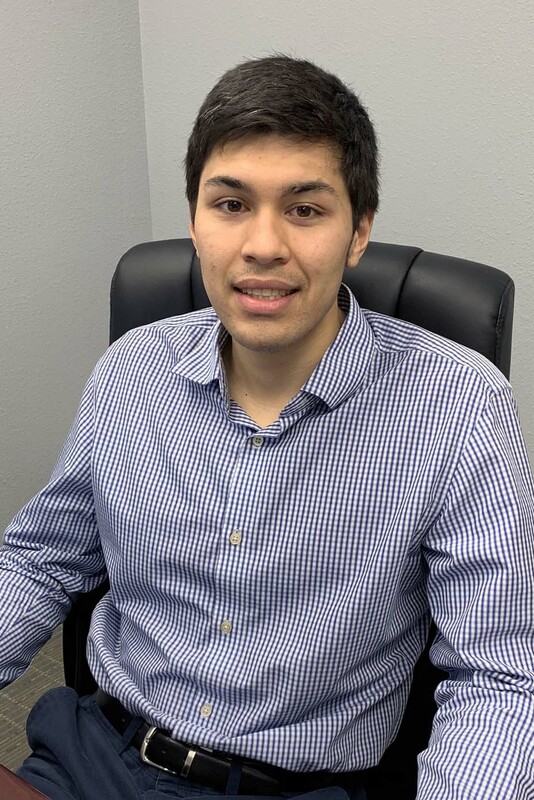 Kyle’s experience includes developing construction plans, specifications, engineer’s estimates, 3D models and pipe networks for roadway construction and site civil projects. He assists with roadway, site, stormwater, sewer and water design projects as well as stormwater analysis. To become a licensed PE, applicants must earn a four-year degree in engineering from an accredited engineering program, have at least four years of supervised experience under a professional engineer, pass two intensive competency exams and earn a license from their state’s licensure board. Who would have thought that 16 years after Gibbs & Olson sponsored Kyle’s soccer team that he would be working for us? Congrats Kyle, we are happy to have you on our team! Gibbs & Olson is excited to welcome Samuel Barham, PE to our team as a project engineer. Mr. Barham has over thirteen years of civil engineering experience with a strong knowledge of water, wastewater and transportation infrastructure for the public sector. His experience includes working on projects for the cities of Longview and Spokane as well as the Washington State Department of Transportation. He earned his bachelor of science degree at the Oregon Institute of Technology and is a licensed engineer in the state of Washington. The City of Longview is replacing an aging 8 foot by 5 foot box culvert located in the center of a 60-foot wide median. Gibbs & Olson was recently hired to provide the planning, permitting, land surveying, design and construction phase services to replace the box culvert system. The project is approximately 2,600 linear feet and the total drainage basin collected by the existing box culvert is approximately 220 acres. Stormwater enters the box culvert from the contributing drainage area at numerous locations. The stormwater is collected at each intersection along Beech Street and is also collected in small branches consisting of 1 to 3 inlets that are directly connected through the side wall of the culvert with 8 inch concrete pipe. In addition, there are six larger collection system at various locations. The current box culvert discharges to an existing 42 inch aluminum stormwater trunk line and outfalls into CDID Ditch 1. There is an overflow from one of box culvert which outfalls to CDID Ditch 3. Discharge to this overflow occurs when the water level in the box culvert is greater than one foot in depth. Stations 22 and 25 move into the permitting phase. Working closely with Cowlitz 2 and Rice Fergus Miller Architects, Gibbs & Olson is providing survey, design, permit assistance, bid and construction phase engineering for the two stations.